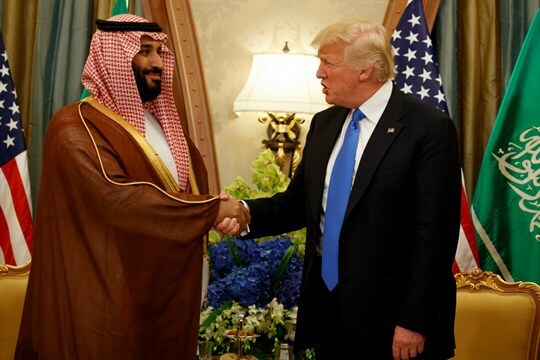 U.S. President Donald Trump shakes hands with Mohammed bin Salman one month before he was elevated to crown prince of Saudi Arabia, Riyadh, May 20, 2017 (AP photo by Evan Vucci). Amid all the focus on whether the Trump administration will recertify the 2015 Iran nuclear deal, Iran’s regional rival, Saudi Arabia, has rekindled nuclear ambitions of its own. Later this month, Saudi Arabia will announce the winner of a multibillion-dollar contract to build the nation’s first two nuclear reactors, set to be constructed along the Persian Gulf. A U.S. consortium is competing with many others in what has become a geopolitical contest, but not without controversy.